Realtors across the country are joining together with ShelterBox Canada to help families affected by disaster through donating the cost of a family relief tent for each home they sell. Not only are these amazing realtors helping Canadian families find a new home, but they are also providing emergency shelter and tools for displaced families around the world. Together, we’re transforming despair into hope. ShelterBox works directly with communities to provide customized aid to help families recover. Our aid is more than a canvas roof overhead or a warm blanket to wrap a child in. It’s a good night’s sleep after what has felt like a nightmare. It’s the only home a family may have for weeks, months, or even longer. But most of all, it’s a safe place to call home and the ability to restart. Thousands of families are forced from their homes every day by wars, conflicts and natural disasters. Your donation for every home you sell can cover the cost and delivery of a high quality shelter and for a family of five. 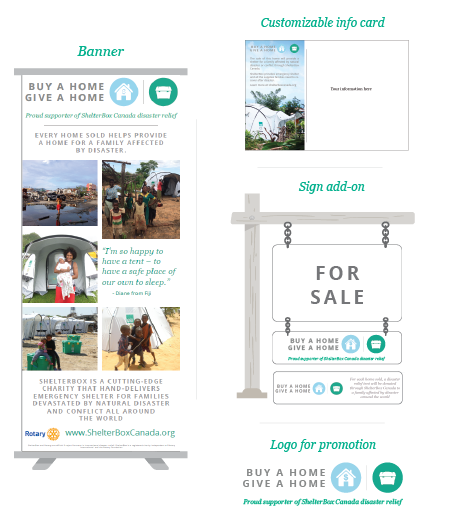 ShelterBox will provide you with access to logos, banners, customizable information cards and more to promote your involvement with your clients and community. Not only will you be helping ensure no family is left without shelter, but participating can help you stand out in your community and gain clients. Whichever level you donate, you will have access to logos and marketing materials to promote your involvement. By donating a tent, ShelterBox will also provide you with a personalized video. For agents that donate a full ShelterBox after a home sale, ShelterBox will send a hand written card to your clients. 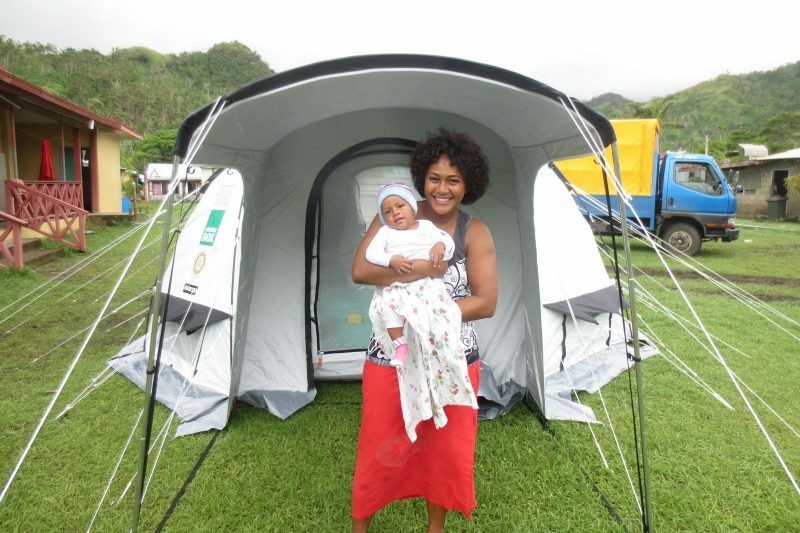 Diane’s baby, Yokimi was just three months old when Cyclone Winston hit Fiji. Diane’s home and their possessions were completely destroyed. Because of people like you, ShelterBox was able to provide Diane a tent and the supplies she needed to restart. Do you want to get involved and make a difference? Fill in the form below and we will reach out to answer any questions you have and get you started!